To achieve big, you need to dream big. You need to push the boundaries of what you think is possible. 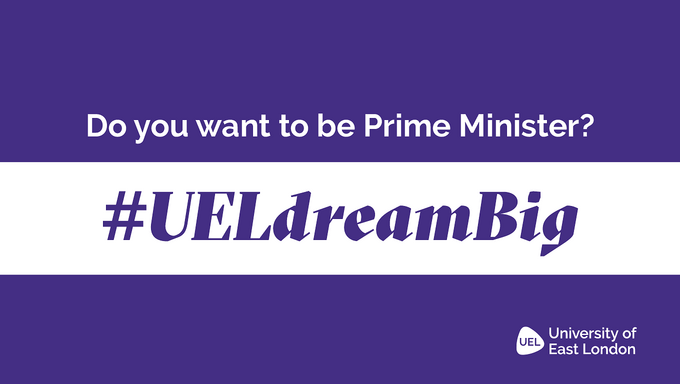 At UEL, we celebrate ambition, which is why we’re launching a campus-wide campaign to find the university’s biggest dreamers. Do you know someone with sky-high goals who can be an inspiration to fellow students? If you do, then why not nominate them for our #UELdreamBig campaign, using the online form below. If your nominee is chosen, you will both be awarded £100. The lucky dreamer will also have the chance to take part in a professional photo shoot and see their image used on posters and publicity material around campus and on social media.